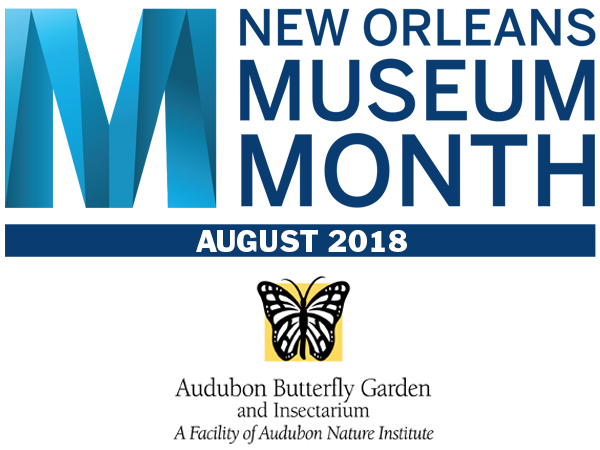 New Orleans Museum Month is a collaboration between museums of all sizes across the greater New Orleans area. It offers museum members the opportunity to visit all participating institutions, FREE OF CHARGE, using their current membership throughout the month of August 2018. Museum Month admission is valid for two complimentary admissions at each museum. Must show membership card and valid ID at entry. Taylor/Audubon Students and Scholars are included! Share YOUR experiences throughout Museum Month! Tag yourself using #NolaMuseumMonth on Facebook, Twitter and Instagram. Your Audubon Membership is more valuable than ever, so take advantage of 31 days of summertime fun!